1. All means of public transit including taxis and buses, and all areas, including ticket, boarding, and waiting areas. 2. Retail stores and tobacco businesses. 3. All restaurants, private clubs, video lottery parlors, and bars. 4. Every room, chamber, place of meeting or public assembly, including school buildings, under the control of any board, council, commission, committee, including joint committees, or any political subdivision of the State. 5. All patient rooms, waiting rooms, and other public areas in health facilities, including, but not limited to hospitals, clinics, pharmacies, physical therapy facilities, doctors' offices, and dentists' offices. 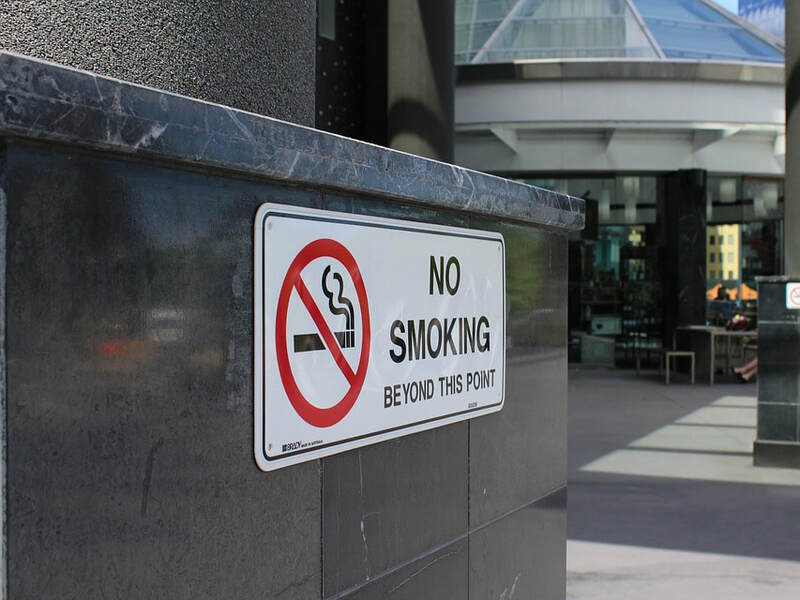 Business owners are responsible for placing no smoking signs on entrances, creating a smoking policy for their establishment, educating employees about that policy, and enforcing the Indoor Air Regulation at their establishments. The Clean Indoor Air regulation was amended by the Monongalia County Board of Health on January 26, 2017. The amended regulation went into effect on February 1, 2017. Electronic Smoking devices are included in the definition of smoking and are prohibited in all enclosed public places in Monongalia County.